Backdrop Background support system kit. 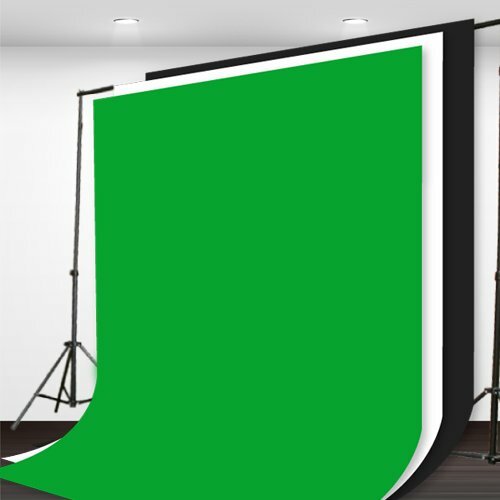 Comes with one 6'x9' chromakey green screen one 6'x9' Black muslin backdrop, one 6'x9' white muslin backdrop and one 8ft by 10ft wide backdrop support system. Carrying case for backdrop support system included. Be creative start using this green screen to help you Great for transport your photo and your youtube video.